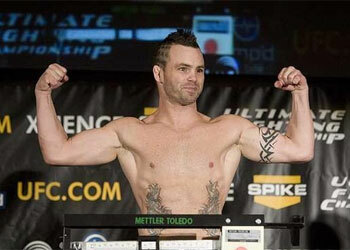 Former UFC lightweight champ Jens Pulver will be taking on up-and-comer Josh Grispi at WEC 41. The featherweight-stacked event will be jumping off on June 7th. Michael David Smith of MMAFanHouse confirmed the bout with sources within the WEC. The 34-year-old Pulver has dropped five of his last six bouts, and is in the midst of a three-fight skid. He made his move back down to the WEC’s 145-pound division after his convincing loss to BJ Penn in June of 2007. Although Zuffa, LLC, the parent company of the WEC and the UFC, thought that Pulver would help solidify the WEC’s most prized weight class, he has had the completely opposite effect. Grispi, a 20-year-old who is perfect through his last eight fights, will be looking to pulverize Jens into retirement. The youngster hopes to catapult up the featherweight charts with a win over the MMA veteran. WEC 41 will be the organization’s second event at Arco Arena in Sacramento, California, and will feature the highly anticipated featherweight rematch between current 145-pound champion Mike Brown and Urijah Faber.